MSD Keytruda has enjoyed the most success of the PD-1/L1 therapies in clinical trials recently and it’s rapidly cementing its position as the leader in the field with another set of stellar data, this time in metastatic squamous non-small cell lung cancer on a first-line basis. Keytruda was used in conjunction with chemotherapy and managed to hit both its primary endpoints in overall survival and progression-free survival. However, the company is holding back the exact data until the ASCO meeting at the beginning of next month – it only referenced the fact that interim analysis suggested that OS and PFS was “significantly longer” compared to patients being to treated with chemotherapy alone. 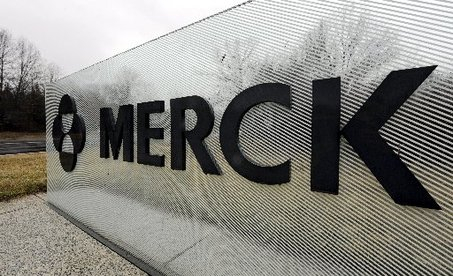 MSD will use the new data to move forward with the FDA in gaining a new indication for the drug, potentially joining numerous existing indications across lung cancer, head and neck cancer, melanoma, amongst others. There are estimates that, in this possible indication, Keytruda could bring in upwards of $6 billion. This bevy of indications has seen Keytruda slowly claw back the early lead built by BMS’ Opdivo and, with a potential conveyer belt of further indications through its 753 further trials, it looks likely it will surpass its close rival in sales.